A battery powered security camera can give you the freedom to install the camera in just about any location, especially if the camera is a wireless type. However, there are a few things you should know about battery powered security cameras before you make a purchase. The following should help to give you insight on how the power supply is normally handled for digital video cameras and the options available for battery powered units. First, we need to provide a little clarification. When this article refers to battery powered security cameras, it means the latest digital video models of security cameras. These cameras built today require much less electricity to operate than their older counterparts. Generally, modern digital video security cameras require between 9 and 12 volts of Direct Current (DC). Their older counterparts often ran on only 120 volts of Alternating Current (AC). All digital video security cameras require some sort of electrical power supply. This is usually provided by an AC adapter that plugs into a normal electrical outlet and transforms the 120 volt AC into 9 – 12 Volt DC for the cameras. For systems with multiple cameras, a power distribution unit is used which provides the same function but provides for connections for several cameras at once. However, battery powered security cameras can eliminate the need for the power supply and wiring. If the camera is a “wireless” type, it means that it does not require a transmission cable that connects it to the processor or Digital Video Recorder (DVR). If that is the case, a battery operated wireless camera has absolutely no wires that are connected to it and only requires mounting for installation. As mentioned earlier, most modern security cameras only require 9 to 12 volts DC to operate. These power requirements are for standard, stationary cameras. Cameras that have Pan-Tilt-Zoom (PTZ) functions will require a higher power demand to operate the motors that move the camera parts and generally are not good candidates for battery power. A battery powered security camera uses battery packs that are designed to operate the camera for about 8 hours before requiring recharging. However, depending on the type of camera and how it is used, this time may be longer or shorter. For example, a wireless security camera model using the same battery pack will operate about 2 ½ hours. There are security camera battery packs designed to operate cameras for up to 24 hours although these are generally much more expensive and require a longer recharge time as well. A word about battery technology in regard to batter powered security cameras. There are basically three types of rechargeable battery; nickel cadmium or Ni-Cads, nickel metal hydride or NiMHs, and lithium ion or Li-ions or LBs. The oldest and the cheapest battery type is the Ni-Cad. The Ni-Cad is a good battery but it has been discovered that it exhibits a phenomenon known as battery memory. If a Ni-Cad is not fully discharged before recharging, the Ni-Cad will have a tendency to produce the proper voltage for only the approximate time of the last usage before recharge. This means that an 8 hour battery may be used for 3 hours, recharged and the next usage it may only produce for 3 hours. In order to get the fullest useful time from a Ni-Cad it should be discharged nearly completely each time before it is recharged. This can be a hassle and if not done properly can even damage the battery. Although the Ni-Cad is still in use today, there are better choices for a battery powered security camera. Ni-MH batteries are superior to Ni-Cads in a few ways. First, NI-MHs are usually able to sustain a longer charge with more power for the same size of battery. Most importantly however, NI-MH batteries do not have the tendency to possess battery memory. This means that if you use a Ni-MH battery that is designed to last 8 hours for only 4 and recharge it, the next use should still last 8 hours. These batteries are more expensive than Ni-Cads but yield better performance. Li-ion batteries yield the best performance, longest staying power, and lightest weight. LI-ion batteries do not possess battery memory. However, these batteries are often as much as 10 times expensive as a Ni-Cad. 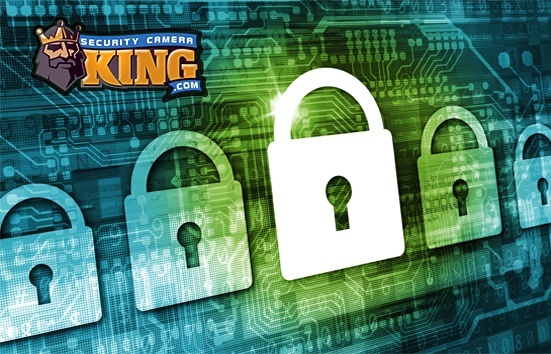 Consider how your battery powered security camera will be expected to operate and that will help you to determine which type of battery to use, or whether to use battery power at all. 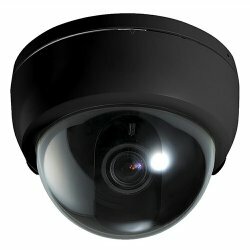 I live in South Africa and our electrical system is different here so i am looking for a battery sustained security camera. Please advice what you have and the prices and also if you can ship it to me.